How does NFIB protect my right to own a business? NFIB's members support teams in Washington, D.C., and in all 50 states that fight to give every type of small and independent business a voice in government policy-making. How does NFIB help me operate a business? NFIB's members join together for combined buying power and the volume savings that come with it to compete with big business. These cost-effective products and services include commercial and health insurance, office equipment, maintenance and repair supplies, and truck discounts. How does NFIB help me grow a business? 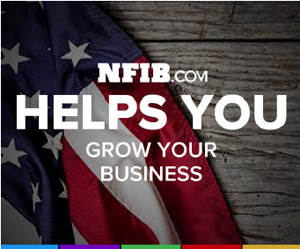 NFIB's members rely on daily how-to articles and news analysis for entrepreneurs. Whether you're just starting a business, looking to expand or exploring how to pass on or sell your business, members choose from tips, videos, infographics and other tools.